Dressed in evening finery, glittering with jewelery, and laughing in the candlelight, the well-to-do of London gather in its grand hotels every evening to enjoy the very finest food that the kitchens of Europe can produce. Places like the Ritz, Claridges, the Dorchester and the Savoy are all booked out with impeccably dressed gentlemen and ladies intent on a good night out. While others glide home in their sleek, black Jaguars, a treat is in store for those who decide to stay over. 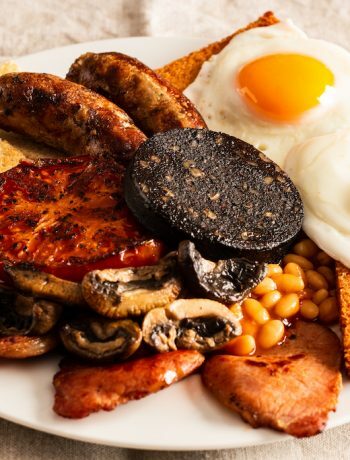 For downstairs, in the very dining rooms that hosted dinner the night before, some of the most famous breakfasts in the world are there for the taking. Among those meals, there is the famous and storied Savoy omelette Arnold Bennett. 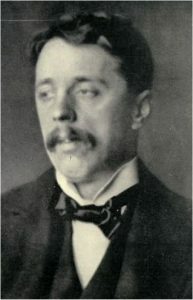 Arnold Bennett (1867–1931) was a British novelist. In 1930, shortly before his death from typhoid, Bennett wrote Imperial Palace, which was based on the inner workings of a grand hotel. The novel was true to its subject matter for the simple fact that Bennett wrote the entire book while resident at the Savoy. It was during this time that the omelette Arnold Bennett was invented. The Times tells a story in which a smoked haddock omelette was added to the Savoy Grill breakfast menu in the 1920s, and it was later that Bennett and the chefs mucked about with it to create the definitive product. The finished masterpiece was named after Bennett, and he would ask for cooks to make it for him wherever he travelled. Presumably, Mr Bennett was wandering about with a recipe on his person, because even in the days of the Internet, finding the Savoy recipe is a bit of a problem. You see, the original recipe calls for lightly scrambled eggs, covered with a layer of poached smoked haddock. That is then covered over with cheese, before being smothered in a mustard-flavoured hollandaise that has been enriched with a slug of haddocky béchamel sauce infused with herbs and spices. The dish is then baked off to firm and then grilled. This means that the hungry domestic cook wanting a taste of the Savoy for his brekkie has to embark on an hour-long session of slightly technical French cookery before he gets fed. It also means that a single Savoy serving contains 8 egg yolks and an entire 250g pat of butter. When we add the milk and cheese, this works out at 2,189.50mg of cholesterol per serving, which is 7.30 times the recommended daily intake of cholesterol for an adult male. You cannot eat a Savoy omelette Arnold Bennett every day and live. In an effort to make the dish more accessible (and possibly less lethal), many cookery writers have cut a load of corners for us (including Gordon Ramsay who is currently running the Savoy Grill with Ben Waugh). 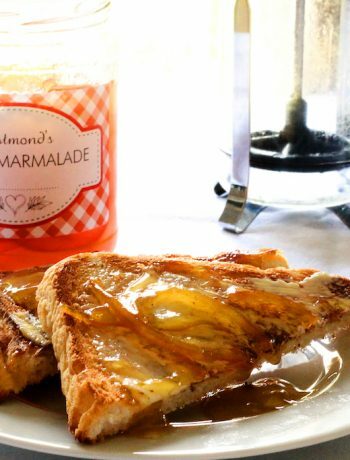 There are now so many different recipes written down, that it has become difficult to identify the original. We could have just gone with Felicity Cloake or Delia Smith, but that is just not what The Nosey Chef is about. After some research, we found the proper Savoy recipe languishing on The Times web site, and compared it to the others from the usual sources. We decided to make that version, chip it in stone and take it up the mountain – just as we have done for a few other classic dishes we considered to be in danger of getting messed up by time and convenience. Even so, despite all of our moaning about trying to locate the original Savoy recipe, we have adapted it too. For the sake of realism, you can download the recipe written by the Savoy (published in The Times) here. However, we elected to adapt it for the simple reason that it includes a hollandaise sauce and a béchamel sauce, both of which differ from the two versions we have in our own article covering the five ‘mother’ sauces. Having multiple versions of the same sauce, varying by a few grams here and there, and by the order of ingredient addition, is a madness that can only result in confusion and error. So we have imprinted the Larousse Gastronomique and Institut Paul Bocuse Gastronomique methods for these basic sauces back on to the Savoy recipe to create a version we can knock off in our own kitchens without thinking about it. 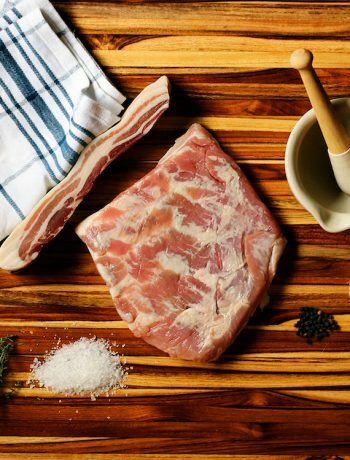 Critically, however, we have not altered the sense of it in that we have retained all the cholesterol-laden components to deliver the full Savoy experience. 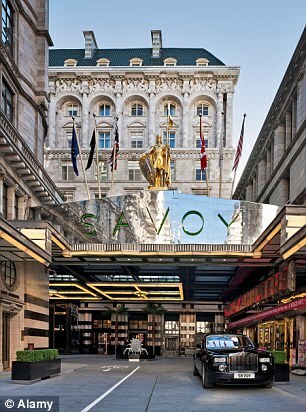 The Savoy can be found at Strand, London WC2R 0EZ. 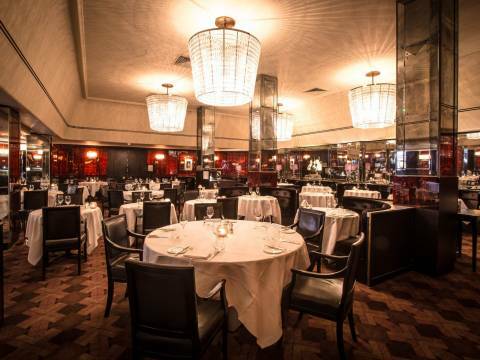 You can book into the Savoy Grill online here. Or call +44 (0)20 7420 2111 for a reservation. To cook the haddock, place all ingredients in a heavy-bottomed pan and simmer until it is cooked (about 3 mins from the start of the simmer). Remove from heat and allow to cool. Sieve, reserving the milk for the béchamel, then cover the fish with clingfilm or tinfoil, so it doesn’t dry out. Set aside. For the béchamel, bring the milk to boiling point, with the bay leaves, cloves and peppercorns. Remove from the heat and infuse for 20 minutes; strain. Melt the butter, add the flour and cook for a minute or so. Start slowly adding the milk but by bit without boiling until all the milk is used, and the sauce is thick and creamy. Season and cool slightly. If it over-cools, it can be brought back to life with a bit if heat and a whisk, which is why we suggest this is done first, which is counter to the Savoy method. To make the hollandaise sauce, melt the butter in one pan, and in another reduce the vinegar and water by half. Cool completely. Transfer the cooled vinegar reduction to a double boiler and whisk in the egg yolks taking care with the heat so as not to scramble. Take off the heat, whisk in the mustard, and then slowly whisk in the warm butter, again avoiding scrambling. 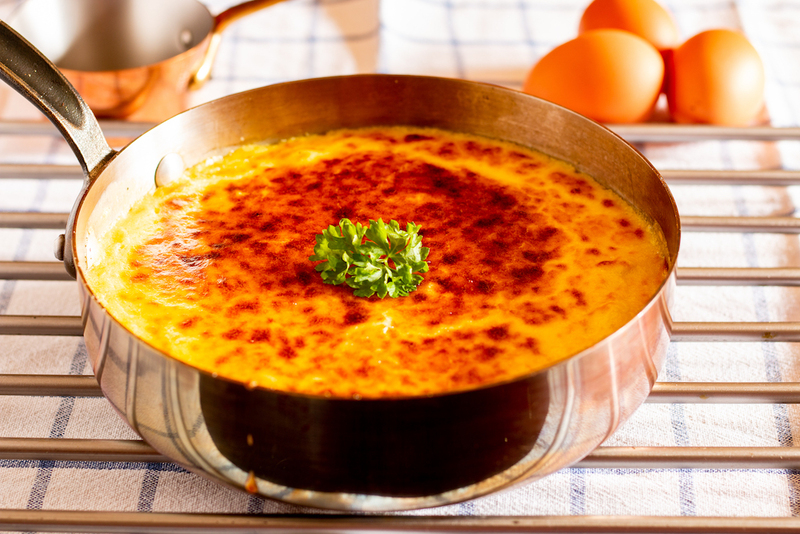 Once the béchamel has cooled, but is still warm (it should be the same temperature as the hollandaise – if too warm, it will scramble the hollandaise), add 100g of it to the hollandaise and mix until nice and smooth. Check the seasoning and add more salt if needed. Now scramble four eggs until they are just cooked, but still a bit runny. Season with salt and pepper and place in the bottom of a medium-sized serving dish (we do the entire dish in a copper sauté pan without moving to another dish). Flake the haddock evenly on top, then sprinkle the cheese and cover evenly with the hollandaise glaze. Bake in a hot oven for 5–7 minutes, or until it has started to firm up – you need to poke it a bit to ensure it is not fully runny, but not over-set (The Savoy says 3 mins, but this is not enough in a domestic oven). Finally, brown under a hot grill, taking care as it browns in seconds if hot from the oven. Serve immediately with a side order of statins and a carotid ultrasound. At any point in the preparation of the hollandaise or the final, combined sauce, you can place the double boiler bowl over the steaming water with the heat off and it will keep warm without curdling or splitting. The Savoy says this is a dish for one. If so, then the diner will need medical attention after eating. We rather suggest that this can be shared by two people. Place the sauté pan on a heatproof trivet in the middle of the table, and go at it from both sides with two plates and a pair of forks.